A long-time metro east favorite, Porter’s Steakhouse originally opened in 1993. Since then, it has gone through numerous iterations, while still maintaining a loyal following. In 2008, the hotel and restaurant were purchased by St. Louis-based Lodging Hospitality Management. After months of work and millions of dollars, the entire property was transformed and reopened as the Doubletree Hotel – Collinsville/St. Louis. The new Porter’s Steakhouse and adjoining bar reopened in April, 2009. Since then, Porter’s Steakhouse has re-established itself as one of the leading steakhouses in the area. The restaurant offers a casually chic dining atmosphere. Deep earth and wine tones envelop the space, with dark wood accents and a stone fireplace adding detail. The ambiance is inviting and comfortable – the perfect venue for entertaining clients or relaxing among friends. Several different private dining areas offer great flexibility for accommodating larger parties. The story of Porter’s Steakhouse goes back decades, but through the years, the experience itself has evolved. Today, it is known as one of the finest restaurants in the metro east. Voted by OpenTable as one of the top steakhouses in the United States for not only its food but also its wine list. Guests love the signature Wine Cart, which is wheeled from table to table so that people may choose their perfect wine pairing. The wine program, a cornerstone of the restaurant, boasts a list of over two hundred bottles, both international and domestic. The menu, though, is not just for steak lovers. It offers an array of amazing seafood, poultry and many other seasonally driven dishes. There is truly something for everyone. Our chef, has put his own personal touch on the menu – updating several classic dishes and adding a few new items of his own. Of course, Porter’s is known for its amazing steaks, but we also offer an array of fresh seafood, fabulous sides and house-made desserts. Our amazing appetizers are also featured in the adjacent lounge, where guests can enjoy a casual meal or cocktail in a laid-back setting. 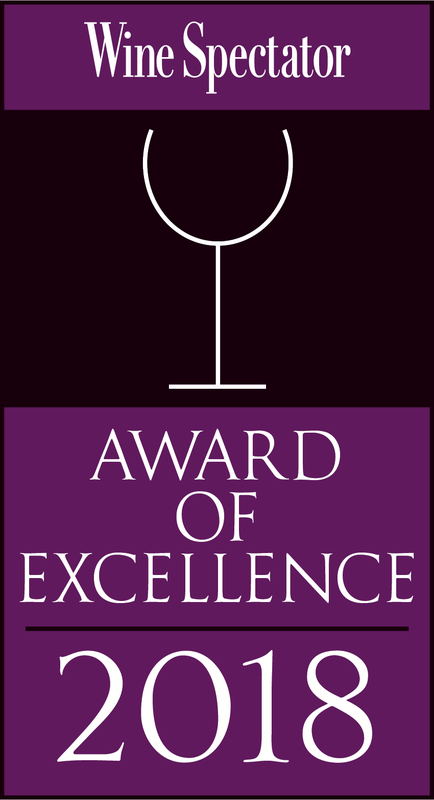 Recently, we were honored with Wine Spectator’s prestigious “Award of Excellence.” We have also been awarded Trip Advisor 2014 “Award of Excellence” and Open Table 2014 “Diner’s Choice Award”; “Top 100 Steakhouses’ in America”; and “Top 100 Hundred Wine List in America” awards. We invite you to come experience Porter’s Steakhouse! Led by General Manager, Stacy Frierdich-Hinrichs, the team at Porter’s Steakhouse is dedicated to providing guests with an exceptional dining experience. John McGuire – As Porter’s Food & Beverage Director, John McGuire brings a true passion for the culinary world and a deep resume of hospitality experience. His love for food and wine dates back to childhood summers spent living and working at his aunt and uncle’s Michigan vineyard. Since then, he has cultivated tremendous industry experience, training under and then working alongside some of the hospitality leaders in food and wine. McGuire has worked in all facets of the business here in the United States and Europe, as everything from general manager and food and beverage director, to sommelier and wine director. McGuire’s leadership experience and focus on impeccable service adds a wonderful new dimension to the Porter’s Steakhouse team. He and his family reside in the St. Louis area. Tim Eagan– Porter’s welcomes new Executive Chef Tim Eagan. Tim has joined our team, fresh off of helping to open many new restaurants in the St. Louis area. 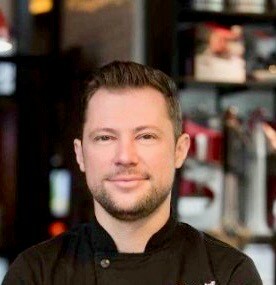 Tim has had the great fortune to work and train under some of the all-star chefs’ in Saint Louis. Tim brings a wealth of experience, as an executive chef, for several freestanding restaurants and hotels. The quality and presentation of Tim’s food has been praised by multiple Saint Louis publications. Tim’s ambitions and dedication to his food and his team is evident in every plate that comes out of his kitchen; Tim will bring his understanding of flavor and menu development to the Porter’s kitchen. Tim will bring ‘seasonality’ to the menu at Porter’s and will work with area farms and farmers to bring the best the season has to offer. Tim and his dog reside in the St. Louis area. Jeff Callahan-Certified Sommelier and Certified Specialist of Wine, started working at Porter’s Steakhouse in September of 1998. Believing that wait staff wine knowledge is important, he began teaching wine classes to the wait staff a month later and still leads those pre-shift classes almost every Saturday. 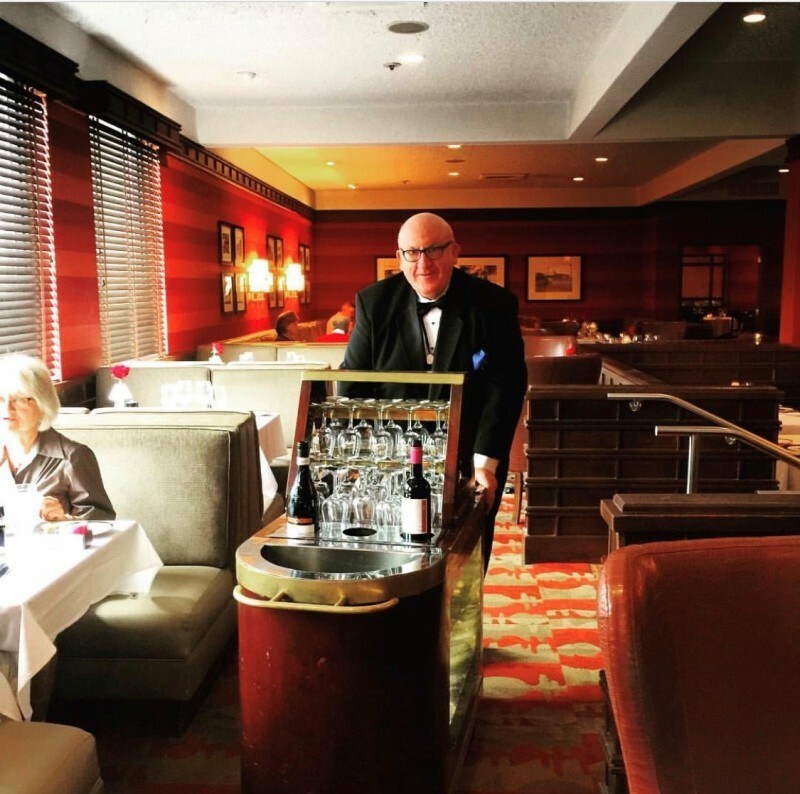 A unique aspect of Porter’s Steakhouse wine service includes the famous wine cart. Jeff loads four premium wines on the cart and offers tableside samples on the nights he’s on duty.Since 1999 Jeff has led over 60 wine dinners, hosting such winemakers as Rodney Strong, Charlie Meeker and Dr. Toad Williams, brother of comedienne Robin Williams.He formed a St Louis tasting group, with wine marketer Scott Sutter, called the St Louis Wine Cats in 2004. With three other wine-industry professionals Jeff founded The Mid-American School of Wine in 2013. Porter’s Steakhouse has earned the Wine Spectator Award of Excellence, beginning in 2004, and has been listed on Open Table’s Top 100 Wine Lists in the United States. Wine service at Porter’s Steakhouse is one aspect of what we call the “Porter’s Experience”!